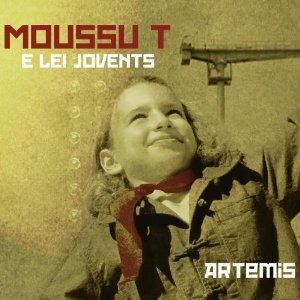 Moussu T e lei Jovents, made up of the founder and singer of Massilia Sound System, Tatou (alias Moussu T, Mister T), and his guitarist, Blu, are now a major presence on the French music scene: an uncontested figurehead of Occitan music, the group is now making a name for itself beyond the frontiers of their homeland. It's only natural that in a career of almost thirty years the band would have picked up a whole array of influences, and listening to the album I wouldn't have guessed they were French - I'd have guessed at maybe North Africa where French is still the main language as the band's sound doesn't feel European - more in the "World music" category. It's very laid back music that's perfect for chilling out to. The fact it stands out as having a different sound to the music you hear every day. The lyrics are all in French, but you don't need to understand them to enjoy listening to the album. Admittedly understanding the lyrics would affect how you enjoy the album, but it's still worth a listen even if you don't speak French.